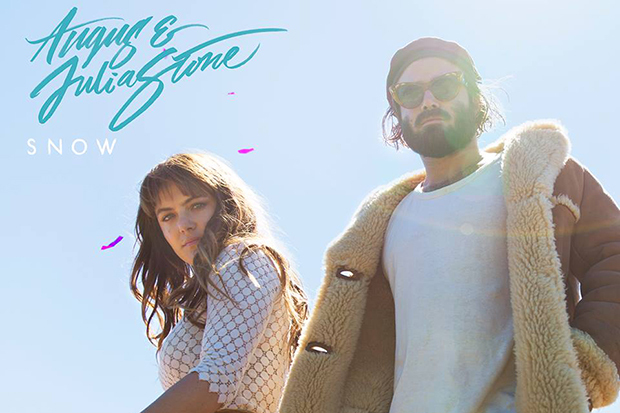 Australian brother-sister duo Angus & Julia Stone broke internationally in 2010 with sophomore set Down The Way and then stepped it up a notch by teaming up with legendary producer Rick Rubin on the self-titled follow-up. The siblings returned last month with a gorgeous, shoe-gazing ditty called “Snow,” the first taste of their similarly-titled 4th LP. It drops September 15 and represents something of a return to their DIY roots. After all, they recorded the opus in Angus’ cottage studio on the outskirts of Byron Bay. “This time round though, every song on the record we wrote together,” Angus says of the album. “It was quite magical because Angus and I have never spent that much time together, just the two of us,” Julia chimes in. “There’s always at least an engineer or tour manager but the last phase of writing and recording was just eight weeks of him and me and the quiet of the land. It was a beautiful time.” If the lead single is any indication, the duo’s latest is going to be one of the year’s most-rewarding listening experiences. Check out the tracklist below. Are you excited for the duo’s new LP? Let us know below, or by hitting us up on Facebook and Twitter!